The automotive industry operational model is unique and quite complex. 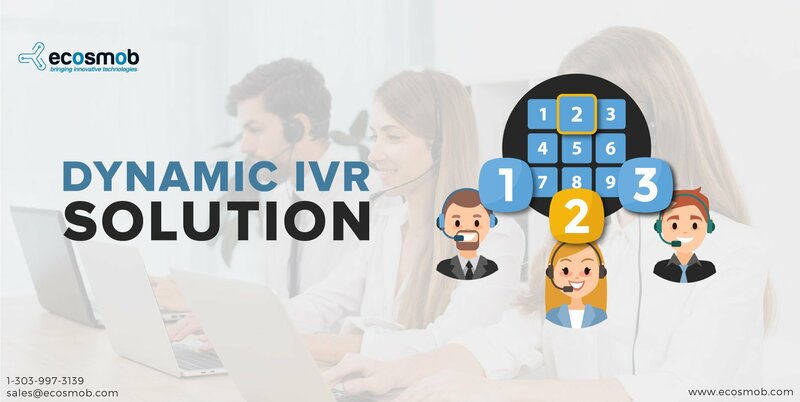 Managing the various threads would be quite difficult were it not for a unified and advanced CRM/ERP solution in place. Unique operations, unique challenges An automotive company may have a manufacturing plant in one or more locations and headquarters as well as sales offices in several areas. Even within the manufacturing side there are various models of cars and parts unique to these cars that need to be tracked. Manufacturing may comprise of in-house produced parts and outsourced components where vendor management is crucial as is inventory control to ensure smooth production flow. The sales and distribution channel may be spread in various locations and may include service support, calling for excellent handling of dealers and supply chain to ensure parts availability. After sales service support continues with modern sensor based technologies conveying condition of car to dealers as well as the company itself and also serving to remind customers about when it is time to service their cars. Such IoT connected cars also serve to deliver data to manufacturers to detect shortcomings and improve products. It is no easy task for automotive industries to synchronize and maintain a consistent production flow supported by sales and customer service. 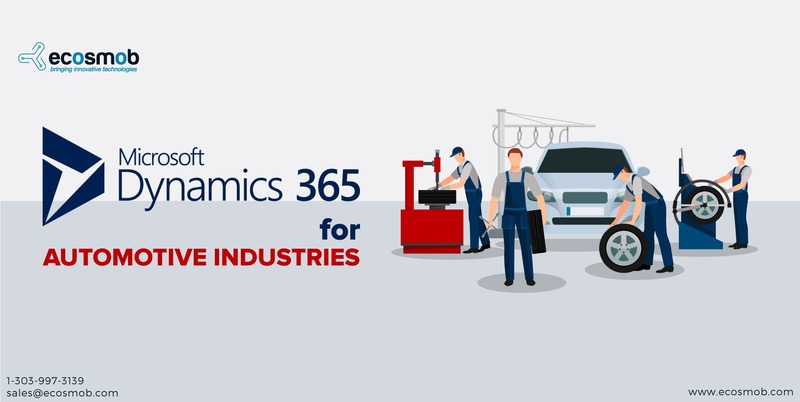 This is where Microsoft 365 for automotive industries can make a difference by serving as the technological hub for entire range of operations. It does require the services of an expert in Microsoft Dynamics 365 to provide appropriately moulded solutions to fit each manufacturer and its business model. AI and machine learning: Data does flow in copious amounts from various sources but how well this is handled and implemented for refinements depends on integrating artificial intelligence into the Microsoft Dynamics 365 solution for automotive industries. MS Dynamics does have a degree of AI to help the organization gain predictive insights that can influence decisions about placing orders and product life cycles. It can be taken a step further by total AI integration into the various streams such as customer management, manufacturing equipment management and vendor management too, in addition to monitoring performance of cars on road. Machine learning helps the system to keep on learning and become even more focused, especially when IoT is integrated and tied into Microsoft Dynamics 365 solutions. IoT integration: MS Dynamics does have an element of IoT but it can be taken a step further by experienced MS Dynamics 365 solution providers who also have expertise in blending IoT with MSD 365 and AI. It can be a hub-spoke model. The spokes radiate to various aspects. One is the manufacturing equipment with IoT sensors to enable better control and least down time as well as to know production figures, energy consumption and other data. The second is integrating IoT into the vehicles to know their on road performance. The third is in inventory control in the manufacturing unit and at service outlets to ensure parts availability. The fourth is at the vendor level where their inventory and production levels are automatically tied to the automotive manufacturer’s hub of Microsoft Dynamics 365 solution. It does not stop there. 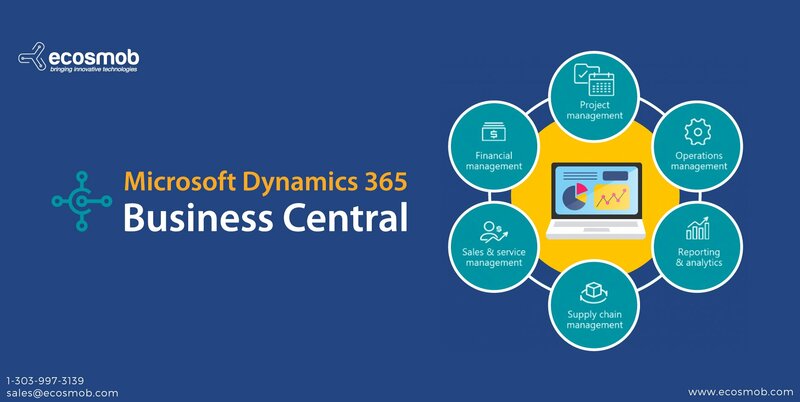 Since vendors are so crucial, the ideal MS Dynamics 365 solution is to include vendors in the chain and not just at a connectivity level but to integrate their manufacturing and inventory with the automotive industry’s core. The same goes for dealer and service support extending down to individual customers. This is a tall order but not entirely mission impossible when you have a capable MS Dynamics 365 solution provider to take on the challenge.